Beijing’s approach to seapower is remarkably similar to the U.S. Navy in the age of Mahan and Roosevelt. So the U.S. Navy and Air Force chiefs of staff penned a good piece over at Foreign Policy last week, explaining the sister services’ AirSea Battle doctrine. Have a look. Something struck me while reading it, namely that China is pursuing its own AirSea strategy under the guise of “counter-intervention” operations or, in Western parlance, anti-access and area denial. You might even call it AirSeaLand, since part of Chinese sea power resides in the Second Artillery Corps, the army’s missile force. But joint sea power is nothing new. History abounds with examples when coastal states alloyed land, sea, and eventually air into an implement of sea combat. Nor do we have to look to exotic climes for examples. Here’s one from U.S. history that sounds strikingly modern. I’ve been reviewing my Spanish-American War history while piecing together some remarks for a Memorial Day speech next week in Newport. Hat tip to my colleague Professor George Baer, whose masterwork One Hundred Years of Sea Power (1994) reveals how eminent fin de siecle Americans thought about maritime defense and offense. Popular opinion deformed the U.S. war effort to a certain extent, in large measure because ordinary Americans entertained outsized fears of the Spanish fleet’s prowess. Citizens of seaports like Newport and New York clamored for protection from naval bombardment. Their pleas siphoned assets away from the main fights in the Caribbean Sea and Philippine Islands. Enjoying this article? Click here to subscribe for full access. Just $5 a month. To appease public sentiment, the U.S. Navy formed a flying squadron for Atlantic waters. It also stationed long-in-the-tooth monitors — think of USS Monitor dueling CSS Virginia at Hampton Roads in the 1860s — in East Coast seaports. Alfred Thayer Mahan reports that the monitors boasted little military potential, but they did create a placebo effect. They were tokens of Washington’s commitment to the national defense, and they looked forbidding. How ships look determines their political impact on various audiences — especially when no gunfire is exchanged that could debunk the comforting image they project. The monitors were there. No Spanish fleet appeared off American shores to test their mettle. So these engines of war did their job despite their decrepitude. That insight furnished Mahan with the opening discussion for his book Lessons of the War with Spain. We often berate Mahan for indifference to what transpires on land, and there’s some justice to such charges. In this case, however, he proposed harnessing land power for nautical purposes. Emplacing long-range coastal artillery at select ports would provide real defensive power. After all, a ship’s a fool to fight a fort. Army gunners would spare the navy from supplying warships — in effect mobile guard towers — for harbor defense. That sounds remarkably like Beijing’s approach to sea power, but with a twist. Land-based PLA weaponry and short-range naval platforms hold off adversaries while the main PLA Navy fleet, like the U.S. Navy in the age of Mahan and Roosevelt, is footloose and fancy free. Here’s the twist, though: the reach of land-based sea power is now so great that the PLA Navy surface fleet can shelter within striking range of Fortress China while still remaining largely footloose. That reduces the urgency of China’s naval buildup, allows leisure time for fleet experimentation, and opens up manifold deterrent and coercive options for Beijing. It’s rather as though Mahan’s coastal artillery boasted an effective firing range measured in hundreds of miles, as opposed to the few miles of offshore waterspace big guns actually could sweep. Such alt-history armaments would’ve granted commanders singular freedom to act beyond American waters. Or, Washington could have elected to remain on the strategic defensive, maintaining a small navy for constabulary duty and quelling local challengers. It appears you can accomplish a lot at sea with forces based ashore — and open up new strategic vistas for your navy in the process. Maritime history: it’s the gift that keeps on giving. 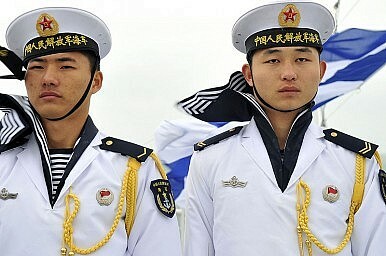 China’s naval advantages are wasting assets, giving Beijing ever more reason to seize the initiative. Taiwan’s transportation ministry is set to pass a new regulation that Uber says could hinder its ability to continue operating in the country. India’s Iran Conundrum Is BackThe Chinese Communist Party’s Latest Propaganda Target: Young MindsA Visual Dialogue of the 2014 Sunflower Movement, 5 Years LaterJapan Sub-Hunting Planes Conduct Anti-Submarine Warfare Exercise in IndiaRussia is Buying Turkmen Gas Again. Why? Terror attacks and violence continues to plague the province – and the Hazaras bear the brunt of the danger. Unchecked development by Chinese investors has come at a cost, freezing out locals and changing the city’s character. Is Vietnam Creeping Into a Succession Crisis? Health rumors aside, the big question remains who will follow in Nguyen Phu Trong’s footsteps. U.S. Army’s Pacific focus shifting from Korea scenarios to China. Rising private business investment is key to unlocking untapped productivity potential, says the HSBC economist. © 2019 The Diplomat. All Rights Reserved.